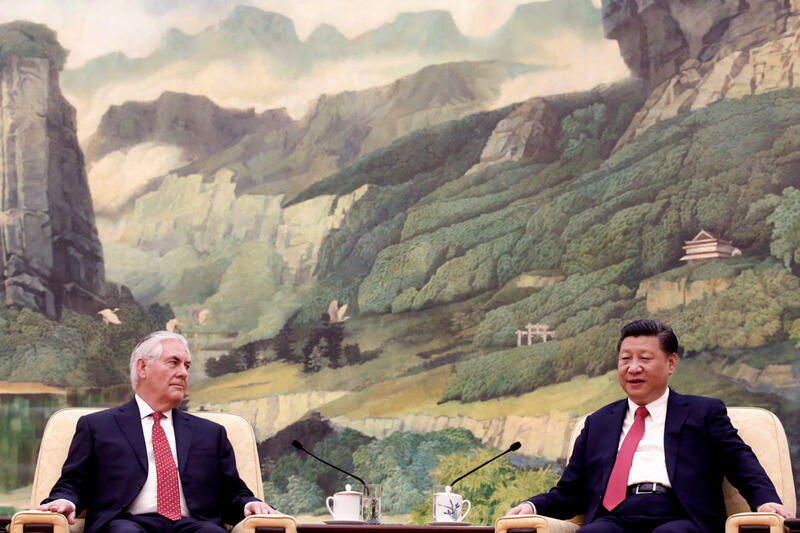 It is possible that during the thirty minutes that he spent behind closed doors with Xi, Tillerson took a more forceful tone with his hosts. Certainly, there are those in the Trump camp—including the President himself—who have urged China to rein in an increasingly belligerent North Korea and to ease restrictions on American companies. Nevertheless, by parroting Xi’s anodyne language, Tillerson sent a message that was picked up the next day by the Global Times, an influential newspaper linked to the Chinese Communist Party. “Tillerson has implicitly endorsed the new model of major power relations,” the paper said. The story added that Tillerson’s language had given “U.S. allies in the Asia-Pacific region an impression that China and the U.S. are equal in the region.” Endorsing this model, the article continued, was something that “the previous administration of Barack Obama refused to do,” despite China’s repeated use of the term during bilateral meetings. 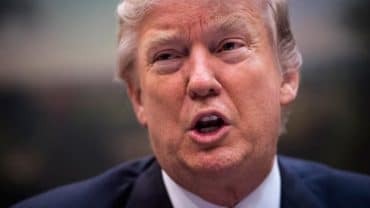 Davos itself provided evidence: Trump stayed away from the annual gathering of global élite, while Xi chose this year to make his first appearance there. Addressing a crowd spooked by the rise of nativist politicians worldwide, Xi presented China as the ultimate responsible global citizen. Since taking office, Trump has pulled the U.S. out of the Trans-Pacific Partnership trade agreement and has pressed America to abandon its climate-change commitments. Into this political vacuum, Beijing has offered up trade agreements of its own design. 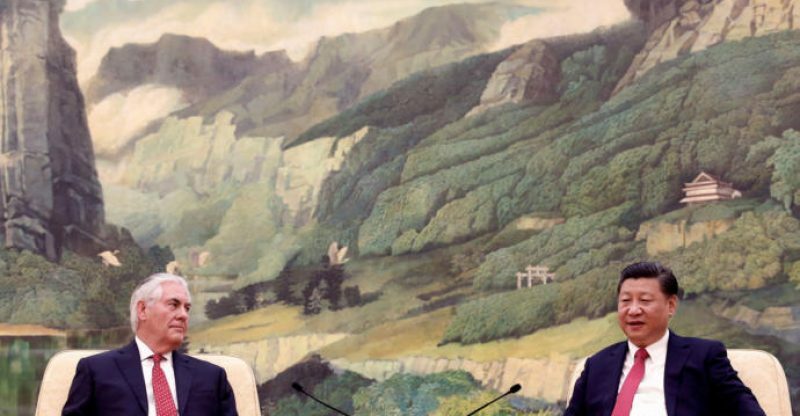 Xi made sure to point out that China does, in fact, believe in global warming. As Trump works to close America’s borders, the Chinese capital hosts a constant stream of foreign dignitaries. The day before Tillerson arrived in Beijing, Xi welcomed Paul Kagame, the President of Rwanda. The day before that, the Chinese President met with King Salman bin Abdulaziz, of Saudi Arabia, to sign trade and investment deals worth as much as sixty-five billion dollars. China now boasts the world’s second-largest economy, but it hardly serves as a global economic role model. As growth in China has tapered off, protectionism has surged. American companies, once loathe to offend Beijing lest they threaten market access, now complain openly about state-supported efforts to cut into their profits or copy their technology. Just as Tillerson arrived in town, news emerged that Pinterest had been added to the long list of banned Western Web sites in China, one which already includes Google and Facebook. Pinterest’s life hacks and craft tips seem an unlikely target, but even the most apolitical of foreign companies can fall victim to politics. Stepping into the void created by America’s seeming retreat from vigorous foreign policy does not mean that Beijing can—or is even eager to—project moral leadership to the world. If anything, China’s most clearly articulated foreign policy over the decades has been non-interference in other nations’ internal affairs. China’s authoritarian government detains its citizens by the hundreds simply for criticizing the Communist Party. The human-rights activist Liu Xiaobo languishes in a Chinese jail, the only Nobel Peace Prize laureate behind bars. (His wife, meanwhile is under de-facto house arrest, even if she has not been found guilty of any crime.) Under Xi, who came to power in late 2012, a crackdown on lawyers, writers, and activists has dampened hopes for political reform.